HONEST HOUR: What Can Support Do Better? In 2019, I have a goal to get more content (and better content) out to you guys via our Help Center and the Community! So I wanted to check in with you to learn what we’re missing and what you’d be interested in seeing going forward. We’d especially like to know if there was anything that you wish you would have had available when you joined the Rachio family. Anyone up for answering any of the following questions for us so we can continue to provide awesome support and content? Feel free to respond to this thread or shoot me a message directly! 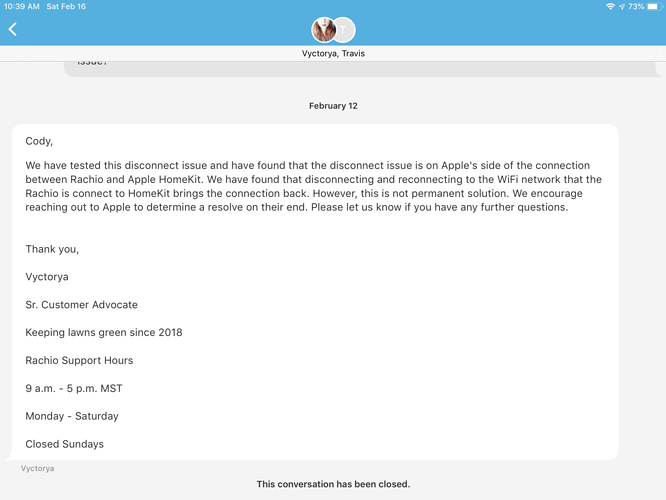 Are there any gaps in our support docs, community threads, or videos that you would like filled? Ex: links to relevant Community threads in support articles, tips that you felt you needed to know but couldn’t find in current content, etc. Would you be interested in hearing from guest writers or contributors on our blog or in the Community? Ex: Troubleshooting tips from top CRPs, Q&As with our team, etc. Do you want to hear from other users via user stories, photos, etc.? Do you feel that the Community as been helpful in your Rachio journey? If no, what can we do to make this a more valuable tool? When you’re learning about a product or troubleshooting an issue, do you use: video, help center docs, forums, something else? p.s. we love love love product and feature suggestions, but would like to keep this thread specific to feedback on support content and how we can - or could have - made your Rachio journey even better. If you’d like to share a product or feature suggestion, feel free to post it here. I do want to keep this thread to support content feedback/suggestions specifically (product & feature suggestions can go here), but feedback is logged regardless! I didn’t even know there is a blog. If thinking about putting regular content on it (besides product announcements!) then maybe make the blog easier to find, like have a link at the top of the website instead of only (?) at the bottom. Support content, I think, is mostly general and that’s good. Maybe offer some specific deep dives or tips on non-lawn vegetation, like trees, vegetables, drought tolerant plants, and flowers. 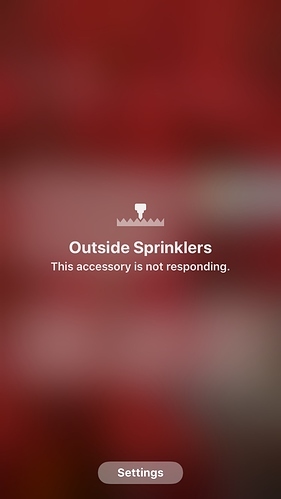 I’ve been having an awful time trying to get my Rachio3 to stay connected with Apple HomeKit. Despite doing some hard resets which restores the connection briefly, I end up with “No Response/This accessory is not responding.” I’m having an awful time. 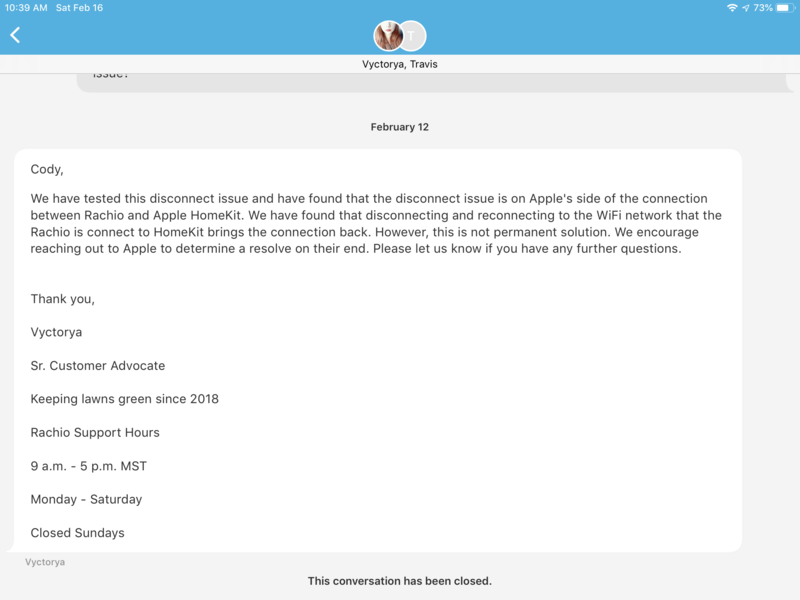 I’m on my 3rd ticket with your help desk team and being told the issue is between Rachio and Apple, but I was told to contact Apple. Would really like to get this fixed as I paid a lot of money for this to work with HomeKit. Our community allows for watering twice a week during DST. Rachio doesn’t offer functionality to automatically schedule that each year so I have to do it manually. Currently, I have the Rachio app configured to not water if we receive .25 inches of rain. If we receive .24, the entire Rachio cycle runs. What should happen instead is that 1/25 of the watering schedule should run. The same thinking holds true for occurred/predicted rain. If we receive .10 inches of rain and .05 is predicted, 10/25 of the watering schedule should run. The micro-forecast support for Gen 3 users is just functionality on the backend of the Rachio system. Why not offer that for $40 (???) to Gen 2 users? Maybe offer some specific deep dives or tips on non-lawn vegetation, like trees, vegetables, drought tolerant plants, and flowers. Love this idea @Kubisuro! What kind of specifics would you want here? Best scheduling options? Tips in general? Advanced settings details? This community is an invaluable resource! I often look here for answers. Regarding the blog–definitely more content. Guest posts, user stories and photos are a great idea, Laura! So glad you think so @sunny! If we had guest posts, who would you be interested in hearing from? Pros? Users? Etc.? All of the above. Readers will skip through what is not interesting to them. Users (especially those who are active on this community) provide the best testimonials for Rachio. User stories or interviews also provide the human interest side. Blogs can be informative, educational or showcase the people behind the product. I’m enjoying the “Meet the Rachio Team” posts and those could be incorporated into your blog, too. I’m no SEO expert, by my business blog gets indexed quite often. It shows up in search results, likely because of the fresh content. Blogs are a good marketing tool. Love it! Thank you so much @sunny Will pass this along to our content team! Just some added information like some fruit trees (not citrus) may have vastly different crop evapotranspiration coefficients during the winter and maybe a good idea to check into that so as not to rot tree roots. So that’d illustrate leveraging Rachio’s advanced settings to manually change that value when it’s seasonally appropriate (no I don’t want this automated; there are other factors at play!). May want to provide resources on differences of tree root depths; not all trees manage to reach 24" as is (I believe) the default setting. Some trees keep most their roots in the upper parts of the soil no matter how deep you water (so that’s potential for wasted water!). I don’t know what I’d add for vegetables though I have had most success with micro sprays to sprout seeds AND keep plants alive-- maybe some best practices to a) sprout direct sowed seeds and b) not waste loads of water? Trees are really my area of “expertise” so I’m looking to learn something new for the vegetables and other plants that are not grass (unless they’re native grasses). Fantastic! This is so helpful. Thank you @Kubisuro Adding it to the notes! Add a new feature to allow a PWS to be used as a rain sensor. As it stands now if it starts to rain while a zone is running your have to use IFTTT to trigger a stop which is too complicated for most people.